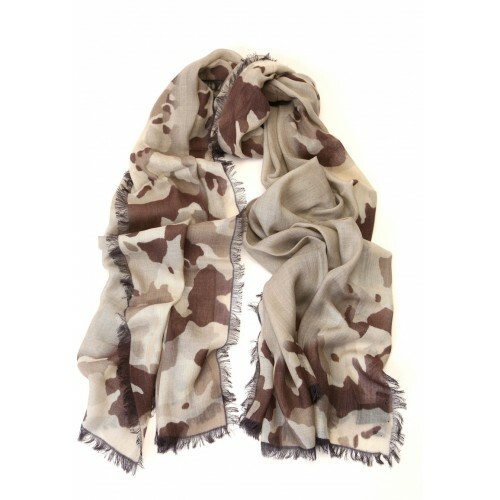 Winter shawls and scarves are very popular mainly because they add more life to the act of keeping oneself warm. Sure, you can wear a jacket to feel cozy while beating cold, but with such scarf at hand, you get to walk down the street looking definitely chic as well. So what styles should you keep tabs on during the winter? For scarves during the winter season, it is recommended to go for the ones made of thicker fabric material, such as wool, cotton, and knit. These fabrics are cozier to the skin and warmer especially when worn outdoors. Silk and cashmere scarves can also be sported during this cold season, but they provide better use during evenings as accessories to dresses and formal outfits, or when the weather outside is not that chilly. When it comes to colors, then you can go with deep reds, greens, and light blues or whites. These colors represent the season, but at the same time their intensity helps spark a feeling of warmth especially when outdoors. If you want to utilize your winter scarves, then you should also know how to wear them properly. Among the best ways to wear scarves during the season is by creating a loose necktie around your neck. Through this method, you are able to look chic and at the same time protect your neck and chest from the blistering cold. If you are going to shop for shawls this winter season, look for light greens and yellows, as well as those that come with holiday prints. This is because you will be using these more as wraps and stoles, and the warm colors help in channeling the said feeling. Another reason to grab the light shades is to create a feeling of brightness in your fashion ensemble. Darker hues tend to be gloomy especially during winter, and the light colors help cheer you up during those days. The lighter shades are also easier to match no matter what kind of outfit you wear underneath. Unlike scarves, you can keep your shawls inside your bag and bring them out only when necessary. You can also wear them as a poncho when walking outside. You may also opt for square shawls during the winter, as you can fold them diagonally and form a triangle that will serve as your wrap. This method of folding helps induce warmth so your back and nape are in a way kept from the cold. It is also recommended to pick shawls of thicker fabric material so that they can keep you away from the winter cold better compared to their thinner counterparts.